The Scan Man goes on a bit in this blog about scanning your vital records before a disaster. 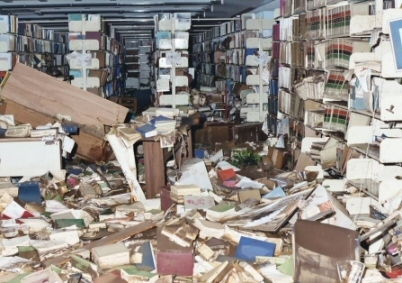 Hundreds of businesses lost documents in the most recent storms and floods. Every flooded basement represented a home owner who lost tax records, insurance documents, and photographs. Buy a scanner yourself (I can help you pick one out), or let Modern Image help you. At least ask for a free estimate. Don’t let this happen to you.